When working for a catering company during college, I was lucky enough to see many exquisite weddings. 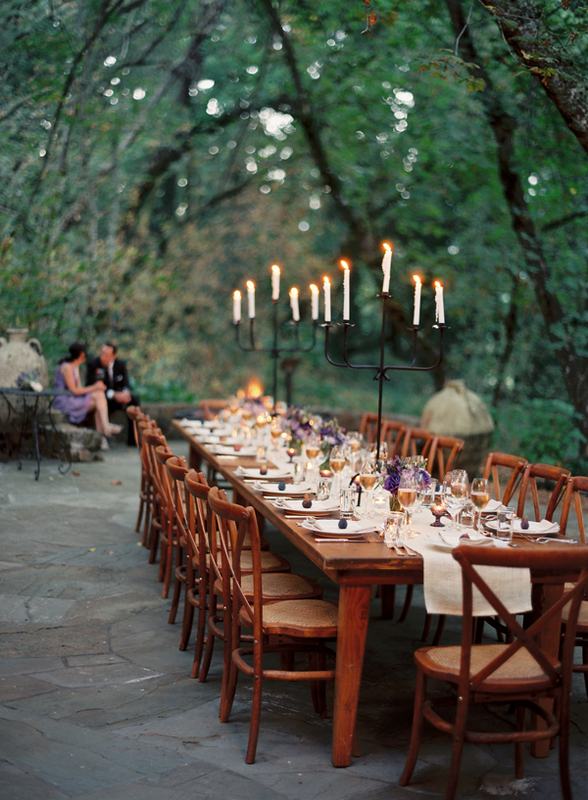 One of my fondest memories was a wedding where the bride incorporated lavender into her rustic, backyard celebration. 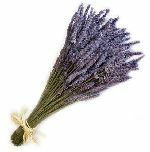 The aisle was sprinkled with lavender and as the bride and the guests walked down the aisle, they crushed the stems, which gave off a beautiful aroma… I can still remember the smell. 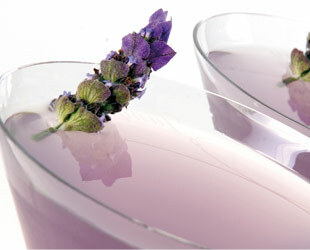 As spring and summer approach, future brides might want to think about using lavender in their décor. 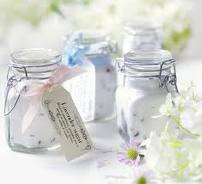 It completes any rustic, French-inspired or country wedding… and smells heavenly! Here are a few ideas for incorporating lavender into your upcoming wedding. 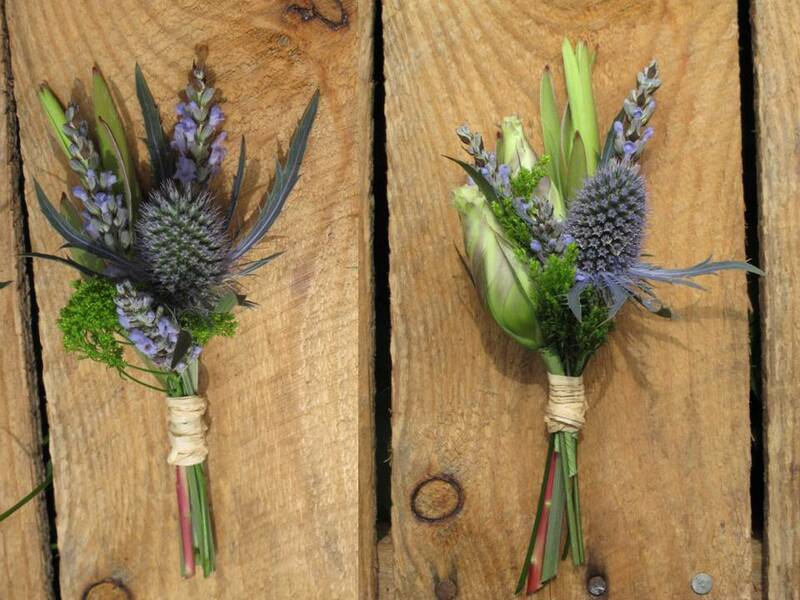 We love lavender bouquets and boutonnieres: so elegant in their simplicity! Incorporating the lavender theme into the table settings is quite simple. Fresh sprigs of lavender, tied simply with a piece of raffia or ribbon, are a perfect place setting. 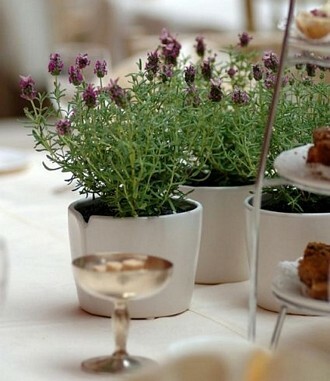 Simple rows of potted lavender (which can also be great parting gifts for staff or members of the wedding party) are a beautiful way of setting a long reception table. 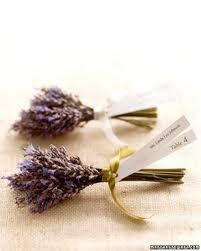 Lavender can also be substitute for rosemary in breads, or incorporated into lavender sugar (a great wedding favor). 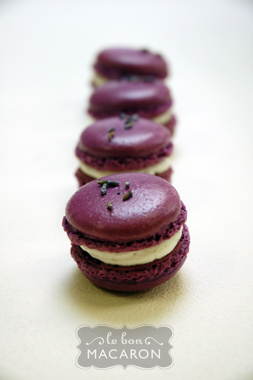 And because macarons can be dyed any color, they are a perfect opportunity to incorporate the lavender color into your wedding! Best of luck to our brides as they prepare for their upcoming spring and summer weddings! Whether it be an outdoor, country-inspired affair sprinkled with lavender or a formal black tie event, remember to incorporate bits and pieces of yourself and your groom into your big day. The best weddings are the most personal ones!